There’s an unusual town in Alaska, along Prince William Sound, where everyone lives under a single, 14-story roof. Built in 1957 by the military, the building — now called Begich Towers — contains 150 studio, two-, and three-bedroom apartments, a hospital, a post office, a grocery store, and city government offices. It even connects, via underground tunnel, to a school. So residents never even have to leave the building, if they don’t want to — convenient given that they can expect an average of 22 feet of snow each year. One dog apparently has learned a new trick: how to drive a semi-truck. 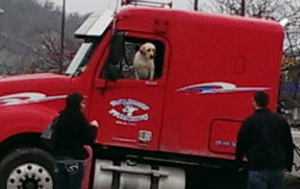 Customers at a Minnesota gas station saw a golden Labrador retriever appear to drive the semi across a road Friday. Mankato police say the idling truck apparently was put into gear, then went through a parking lot, across the street and over a curb. The Free Press of Mankato reports a passer-by discovered the dog sitting in the driver’s seat when he jumped into the truck to stop it. […] The driver had left the unoccupied truck running in a nearby parking lot. Mass hysteria, per Wikipedia’s definition, is “a phenomenon that transmits collective delusions of threats, whether real or imaginary, through a population in society as a result of rumors and fear.” You may be familiar with famous incidents of mass hysteria such as the Dancing Plague of 1518 or the Salem witch trials, but you likely haven’t heard of a much more mundane yet relatably close-to-home instance: the Seattle windshield pitting epidemic of 1954. Considered by experts to be a “textbook” case of collective delusion, residents of Bellingham, Seattle, and other communities of Washington reached a state of panic when they began noticing “holes, pits, and dings” in their windshields. [O]riginally thought to be the work of vandals[,] the rate of pitting was so great that residents began to attribute it to everything from sand flea eggs to nuclear bomb testing. Originating in Bellingham in March, police initially believed the work to be vandals using BB guns. However the pitting was soon observed in the nearby towns of Sedro Woolley and Mount Vernon and by mid-April, appeared to have spread to the town of Anacortes on Fidalgo Island. Within a week, the news and the so-called “pitting epidemic” had reached metropolitan Seattle. 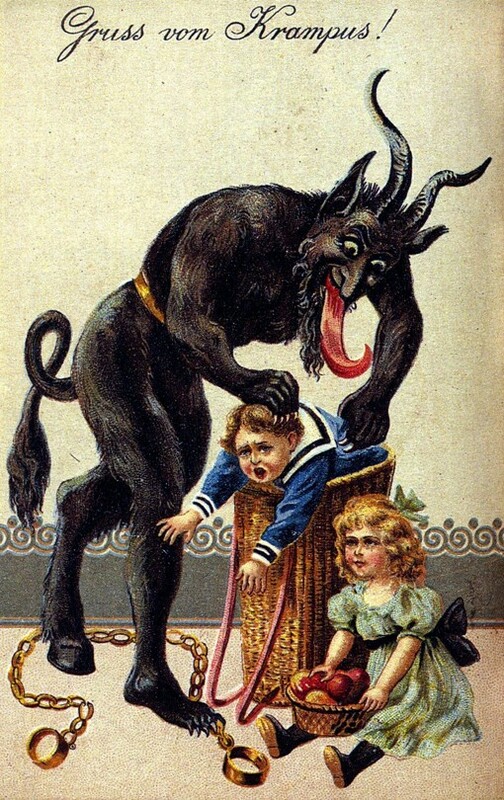 As the newspapers began to feature the story, more and more reports of pitting were called in. Motorists began stopping police cars to report damage and car lots and parking garages reported particularly severe attacks. […] By April 15, close to 3,000 windshields had been reported as affected. Finally, Sergeant Max Allison of the Seattle police crime laboratory stated that the pitting reports consisted of “5 per cent hoodlum-ism, and 95 per cent public hysteria.” By April 17, the pitting suddenly stopped. It’s a strange enough name for a town, but what really sets the place apart is the fact that the majority of its dwelling and businesses are… underground. Here’s another story that fulfills every stereotype about life in Australia. Eric Holland from Thurgoona in New South Wales was relaxing in his shed earlier this week, when he came across a 1.5 metre (5 foot) goanna lizard hanging on the side of his house. 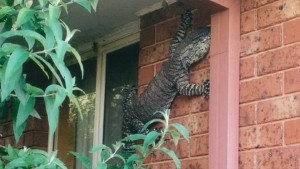 The goanna is actually a mature Lace Monitor, which can grow to 2 metres (6.5 feet) long and weigh 20 kilograms (44 lbs). “A bloody big shock,” indeed. Story credit to Mashable. Why are there so many medieval paintings of people battling large snails?